A hairdryer and volumizer all in one product? Meet the One Step Hair Drying and Volumizer! It dries your hair fast enough and gives you gorgeous hair volume with just one step. Unique oval brush design for smoothing the hair, while the round edges create volume. 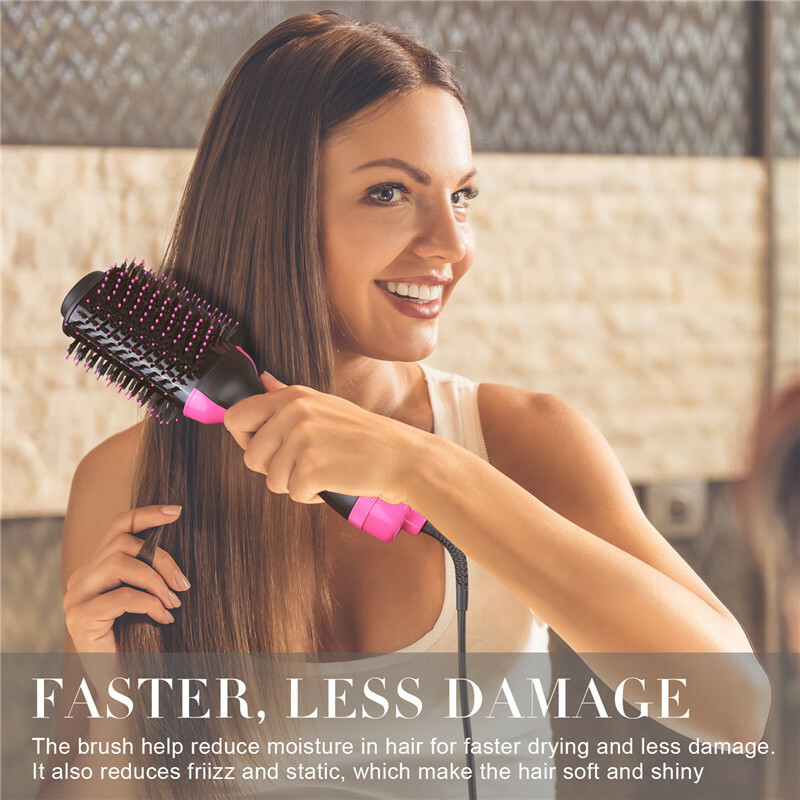 The brush is designed with nylon pin & tufted bristles for detangling, improved volume and control. IONIC Technology: Negative ions saturate the airflow. This helps condition, smooth and make hair shinier while reducing frizz and static.